No pranks we promise! We just want to bust some of the myths we hear floating around about the everyday plumbing system you can find in your home. 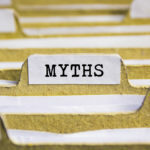 We’ve picked five myths you’ve probably heard before, and we’ll give you the facts! Toilets don’t actually flush in the other direction south of the equator. This idea stemmed from the Coriolis effect, which is why cyclones rotate. Cyclones do in fact rotate in the opposite direction in the northern and southern hemispheres, but your toilet doesn’t have nearly enough water to replicate this effect. Let’s also remember the direction the toilet drains is determined by the jets. Sure, hot water does keep grease in a more liquefied state, but it will eventually cool and when it does, it solidifies and can cause a major blockage. This grease will then become a magnet for food, lint, and hair to cling to. Sometimes the clogs they cause aren’t close to the drain. They are so far down a household pipe snake won’t be able to reach it. If that happens, you’ll be forced to call a professional to help. We’re not saying you shouldn’t use a drain cleaner, we just want you to know that they can cause issues! So sure, that drain cleaner may have fixed the minor clog you had in your sink. But what you can’t see is the drain cleaner eating away at your pipes which can cause serious damage after prolonged use. 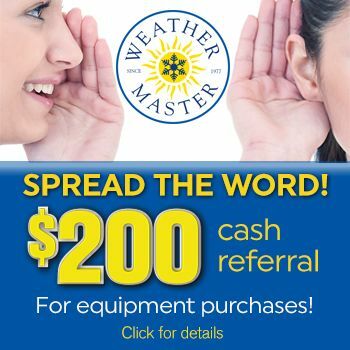 Skip the drain cleaner and talk to our experts at Weather Master. We’ll get it done the right way, the first time! Your water heater is most likely NOT going to explode. Just sounds like it’s due for a cleaning. The rumbling/gurgling sound is typically caused by excessive buildup of sediments inside the tank. The sounds come from steam trying to escape through the sediment. If you continue to ignore this issue, it could lead to a permanent malfunction in your water heater. This is false. Not all plumbers have the same training and expertise. It’s best to check out the credentials of the plumber and the company they work for before you hire them for the job. Weather Master’s plumbers are state licensed, insured, meet our rigid trust certification standards, and our services are guaranteed in writing against defects in materials and workmanship. If you’re interested in any plumbing, electrical, or heating and cooling services, don’t hesitate to reach out to us! You can give us a call day or night at (919) 853-7910 or schedule an appointment online.